This time it’s the big one! 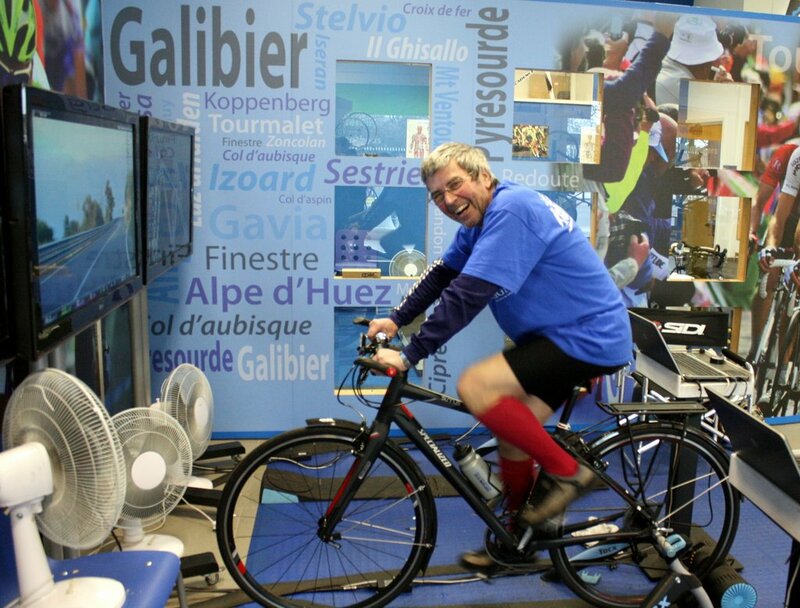 Three years ago, choir bass Pete Smith impressed us all by cycling 280 miles from London to Paris in three days – raising £7,245 for the Royal Marsden Hospital’s cancer charity. 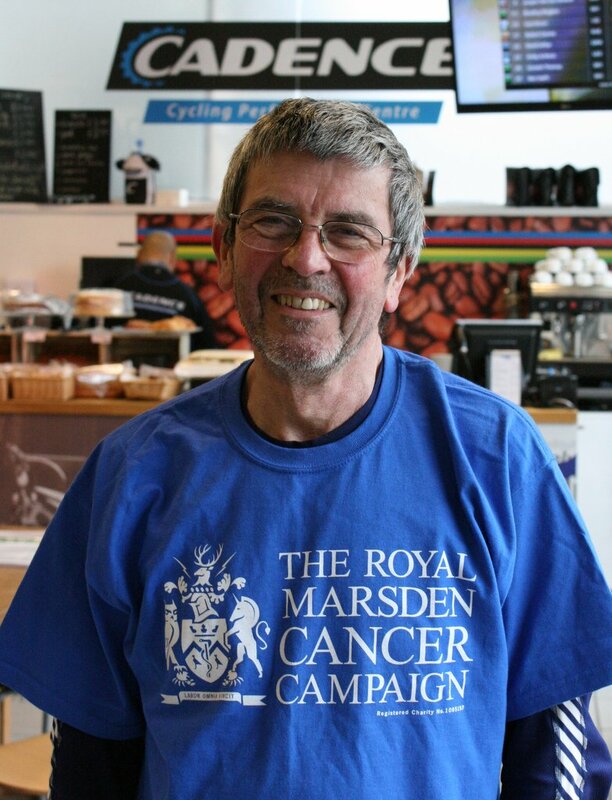 The longest ride - Pete is raising funds for the Royal Marsden Cancer Campaign. This April Pete plans to go quite a lot further – from Land’s End to John O’Groats, no less. The distance is 980 miles and he plans to cover it in twelve days – an average 82 miles a day! Pete is appealing to choir members to sponsor his ride to help the Royal Marsden’s cancer research again. He and his family are meeting the entire costs of his trip, so all contributions will go directly to the research fund. He starts his ride on April 30. 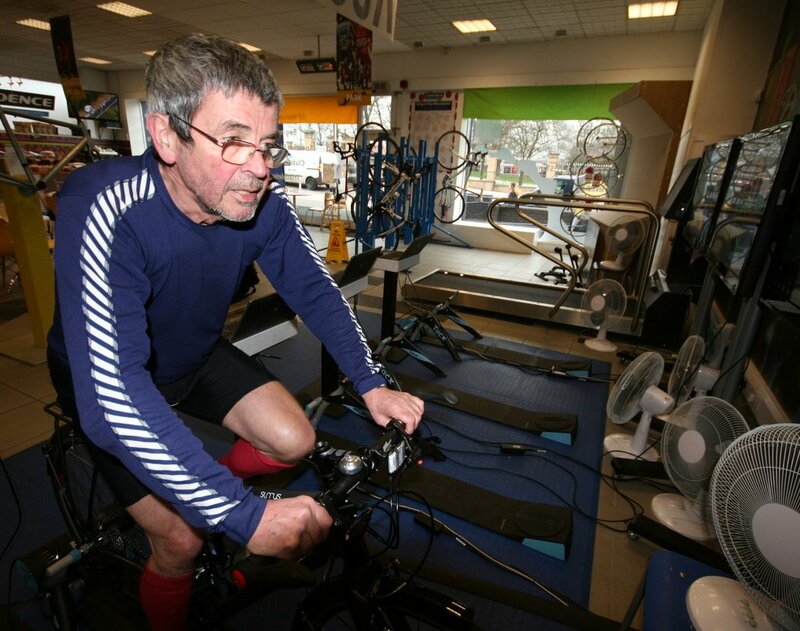 Pete has been practising for his ride on static machines at the Cadence cycle centre in Crystal Palace. 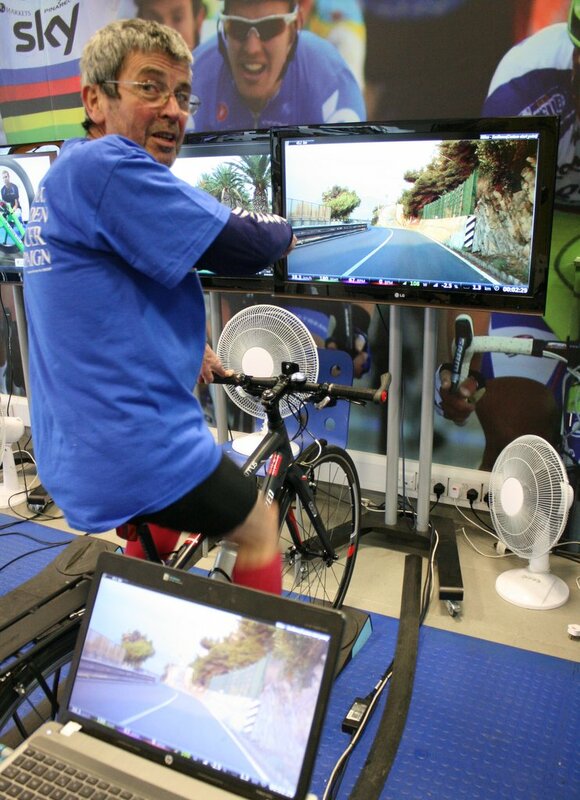 He covers epic stages of races such as the Tour de France which appear on a display screen and reaches speeds of 55kph - 33mph. Pete remains under the care of the Royal Marsden himself. As can be seen, he is evidently in rude health, despite being on the hospital’s ‘watch and wait’ list, with four-weekly injections and periodic scans. “I thought it was about time I took on a fresh challenge,” Pete says. "Look - I'm going 33 miles an hour!"